Here are some Resources and Products that we think will be useful for you. Some of these we created ourselves. Some of these were created by other people. We think that all of these resources are extremely useful and beneficial to you. Some may help you to relax, or may help you to build your business or website. And some may simply be nice to listen to. Note – some of these are affiliate links. This means that if you decide to purchase the resource we may or may not get a small amount of monetary compensation. Irrespective of this, we strongly recommend the products or services mentioned here on this page. Quite simply, if we don’t think it’s good, then it will not be featured here on this page or within this website and blog. River To The Sea – with over 10,000 units sold, this Relaxation and Calming Music album features beautiful and uplifting melodies, warm, lush keyboards, saxophones and flutes combined with sounds of nature such as rivers, waves and birds. Written and composed by Rick Plumridge and Matthew Harding as part of their Australian Journey Music series. Sea To Sky – another very popular calming music album by relaxation music musicians Rick Plumridge and Matthew Harding as the second part of their Australian Journey Music series. Featuring more of the calming and peaceful music Rick and Matthew are known for, combined with the wonderous sounds of nature. Simply Relaxation – a Guided Meditation audio by international best selling expert and university lecturer Rosemary Bennett. In this audio – available as either a physical CD or as MP3 downloads – Rosemary provides the lessons and guided imagery to take you away from your current state towards a place of rest and tranquility. And she has help from Rick and Matthew (see above) who provided the backing meditation music. 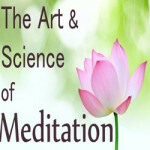 The Art and Science of Meditation – Aimed at beginners, this course teaches a sytematic approach to help you develope a daily meditation practice. Anyone who is seeking freedom from anxiety, anger, fear, or worry should investigate the 54 lectures and over 6 hours of audio and video content that makes up this meditation training course. Urban Meditation Guide – A fresh and easy Meditation Guide for the urban dweller who is looking to release stress, be more productive and happy. Meditation is a practical tool to enhance the quality of YOUR life by helping you manage stress, sleep better and create clarity and direction. Featuring 4 videos and 1 guided meditation audio, you can complete this course in 45 minutes and you will gain lifetime access take it again and again as often as you like. Start Outsourcing Today – A Step by Step Guide to Save Time and Money For Small Business Owners and Entrepreneurs. 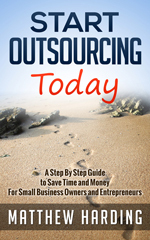 This eBook is all about How To Start Outsourcing. It will show you, step by step, how to start your outsourcing journey, to allocate small or time consuming or once off tasks to your ever growing pool of available outsourcing contractors. It is easy to hire someone who is smarter than you, more skilled and experienced than you are and has more time to allocate to the task at hand. Get things done. Build your business. Watch it grow. Reclaim your time, your life, your relationships. Stop being a slave to your business. Work ON your business, not IN your business. Matthew writes books as well as blog posts and calming music…. We here at Calming Music Weekly use outsourcing contractors to help us, and you should too. Start Outsourcing – Today. DIYWebsitesByMatt.com – the home of all your DIY Website needs. Simple. Low Cost. Effective. ALL the tools you need for website creation. You CAN build a DIY website, even if you have no experience – it’s easy ! Or we can help – the choice is yours. 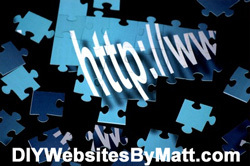 Specializing in Simple Website Creation, DIY Web Sites By Matt makes website creation easy. By either enabling you build a do it yourself website, or having the expertise to do it for you, a professional website for you and Your Small Business is only a few clicks away with DIYWebSitesByMatt.com . Calming Music Weekly uses the tools and products available from DIYWebsitesByMatt.com – why don’t you give them a try ? 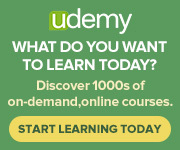 Udemy is an online training resources centre. It offers all kinds of learning opportunities, including audio, video and written lessons on almost any topic you can possibly imagine. Music lessons, technology lessons, photography, yoga, personal development, stress management, meditation, languages – and much more. Prices start at zero dollars…. yes, some courses are free. We’ve bought courses and learnt heaps. We will be adding courses into Udemy in the future too – it’s that good. Fiverr is an outsourcing website. If you are struggling for time, or have some tasks you cannot complete yourself – outsource them !! 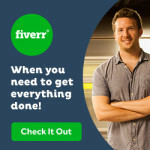 The basic premise behind Fiverr is that everything costs $5. Want a new logo designed ? Want someone to do a voice over, or make a video, or write and article for you ? Graphics, marketing, writing, video, audio, business services, translation, plus some weird and wonderful ideas as well. We use Fiverr – you should too.